Having survived the process of modernization and reasserted themselves in public life, religious traditions play an increasingly important public role in shaping and defining social institutions and interactions. This book examines Rawls’s theory of political liberalism in the context of Muslim societies, where religion wields a significant social and political influence. Contrasting a sociological analysis with a theoretical approach, the author explores the political questions brought up by religious individuals, organizations, and minorities, and examines fundamental notions such as neutrality of state, public/private distinction, and individual autonomy. 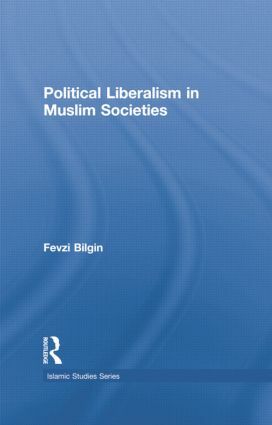 Offering a rich set of conceptual and normative instruments, the author presents new ways to incorporate political liberalism into political discourses and advocating policy prescriptions for the advancement of democracy in Muslim societies. Independent of the focus on Muslim societies, this book makes a significant contribution to the political liberalism debate. As such, it will be of interest not only to students of Islam and the Middle East, but also to those with an interest in political philosophy, democracy, religion and contemporary political theory. Fevzi Bilgin is an Assistant Professor of Political Science at St. Mary’s College of Maryland. He received his doctorate from University of Pittsburgh in 2004 and has since published a number of essays on political liberalism, constitutional politics, and religion and politics in Turkey and the Middle East.